Our Cherub Keepsake Heart Box is so lush and feminine.......perfect for keeping everything that is close to your heart! Covered in exquisite hand-bead, embroidered and sequined lace that has been hand-dyed in our signature 'romantic antique' shade of pink. 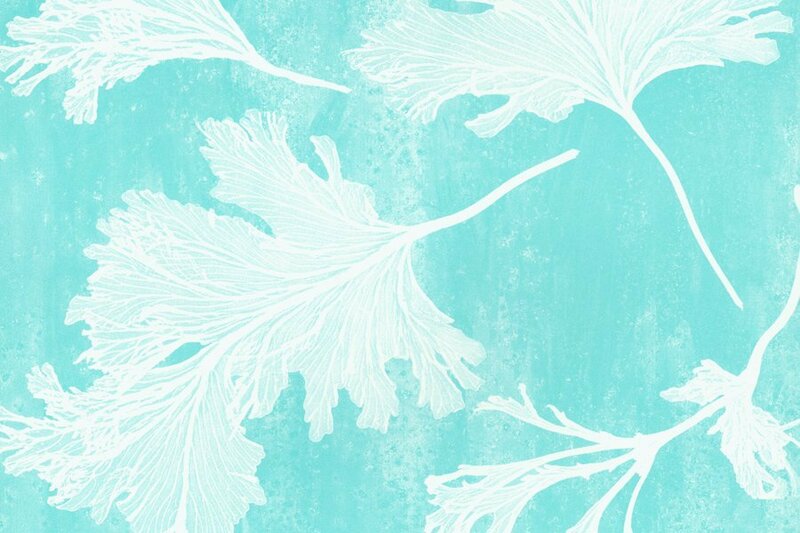 This medium size shade will look awesome on your table lamp! 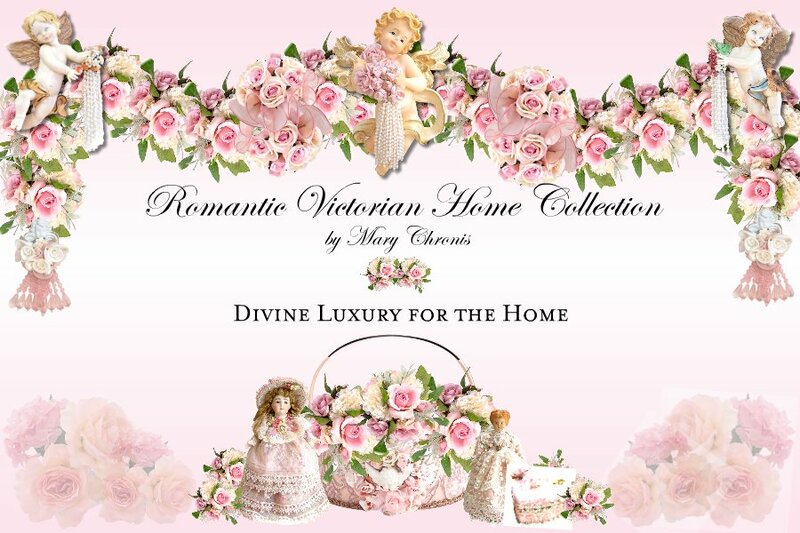 Made to match our 'Pink Cherub Collection'. Covered with our signature beaded, embroidered silk organza in a soft antique pink. Embellished with a sweet mini cherubim surrounded by embroidery, pearls and hand twirled rosettes. Trimmed with acrylic aurora borealis fringe which reflects light beautifully. This is a harp style. The cherub tassel ropes are stunning with large, lush tassels measuring approx. 10" long x 4" wide and embellished with sweet cherubs. These include subtle antique shades of dusty pink, old rose and peach with pearl beading. 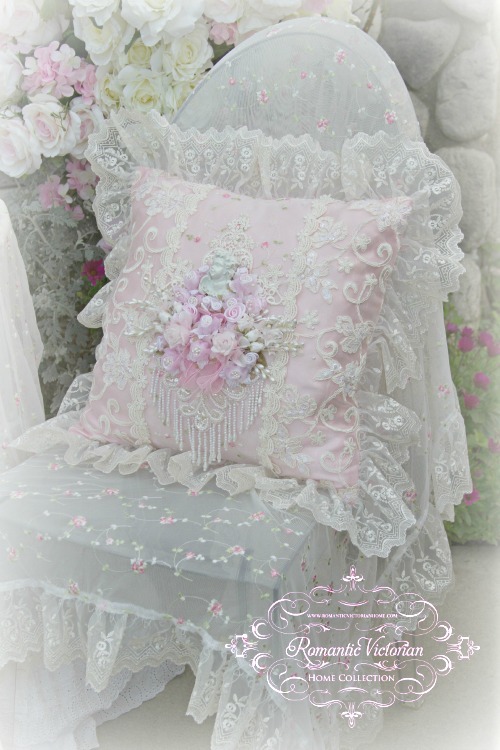 Our Cherub Square Pillow is so lush and feminine! Covered in exquisite hand-bead, embroidered and sequined lace. The addition of the sweet cherub with roses and pearl embellishments adds so much charm and elegance to this piece. Measure 18" Square + 3.5" embroidered organza trim all around.